Thanks to the HEUER Rotary-Table the vice can be rotated 360° on one level exactly in the position that you need for working on a given item. 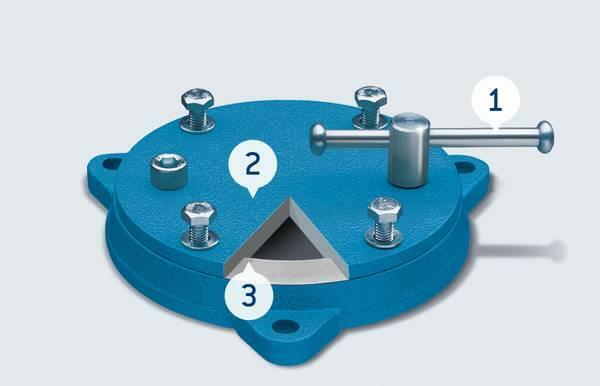 The robust setting with a small spindle key enables the rotary table - and therefore the vice - to be precisely and firmly set to the required position. Their build determines the uniquely positive features. The HEUER Rotary-Table comes with a covered plate in order to prevent entry of dirt and shavings into the guide. The steel rotating unit and carrying plate fit exactly into one another and thus assure a precise guide. The guide surfaces are of course conceived to provide as resistance-free an operation as possible. The HEUER Rotary-Table is of an especially flat build to assure great stability. 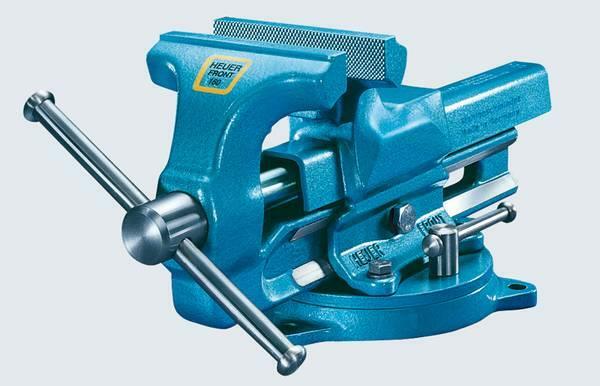 The HEUER Rotary-Table is designed for all vice sizes.